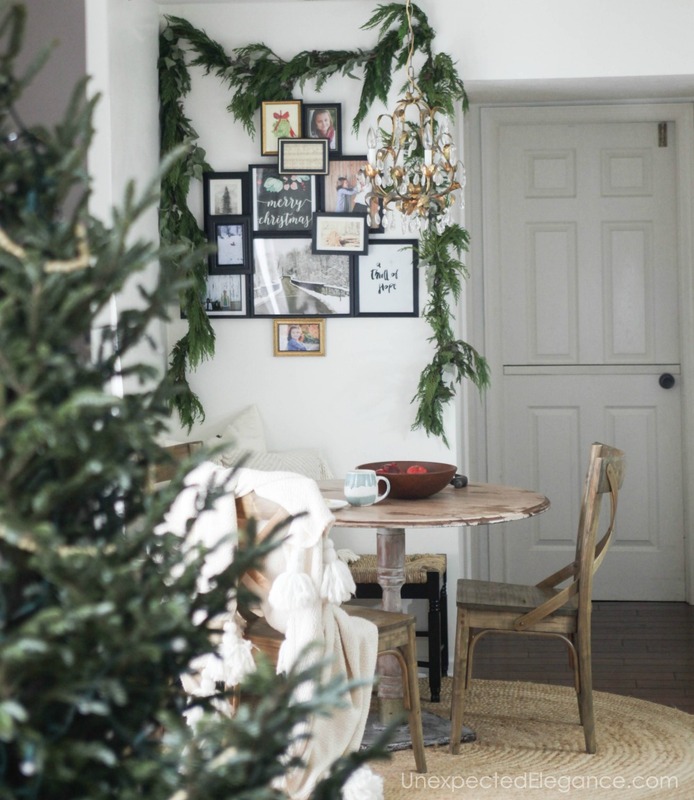 Want to add some fun and personalized Christmas decor to your home this year? 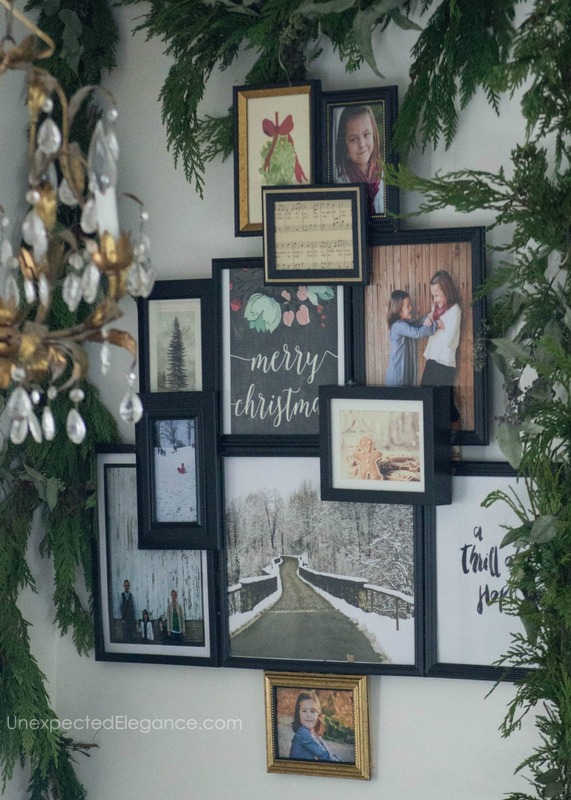 See how easy it is to create this sentimental holiday photo tree! 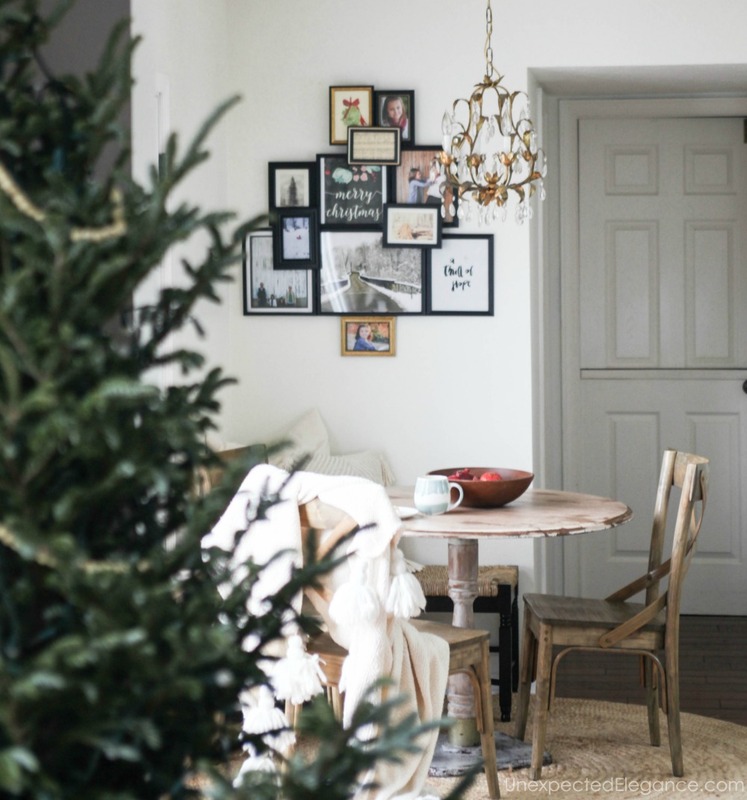 I have always loved a holiday photo tree but never gotten around to purchasing one. I’ve never been an overly sentimental person. I don’t save things I “think” will be family heirlooms one day or hold onto things I “might” need because objects don’t hold a lot of value to me. However, the older I’ve gotten (and now that I have kids), I value pictures a lot more. I want to remember the moments and preserve them in time. 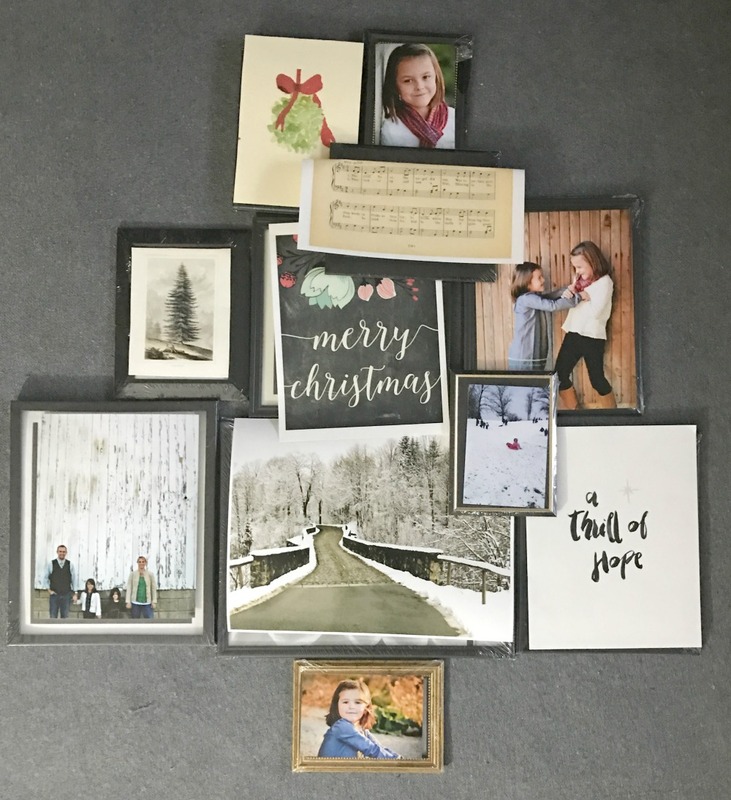 I’m still not the best at getting pictures printed, but I thought this year would be a great time to make something special just for our family! This post brought to you by The Gorilla Glue Company. The content and opinions expressed below are that of Unexpected Elegance. 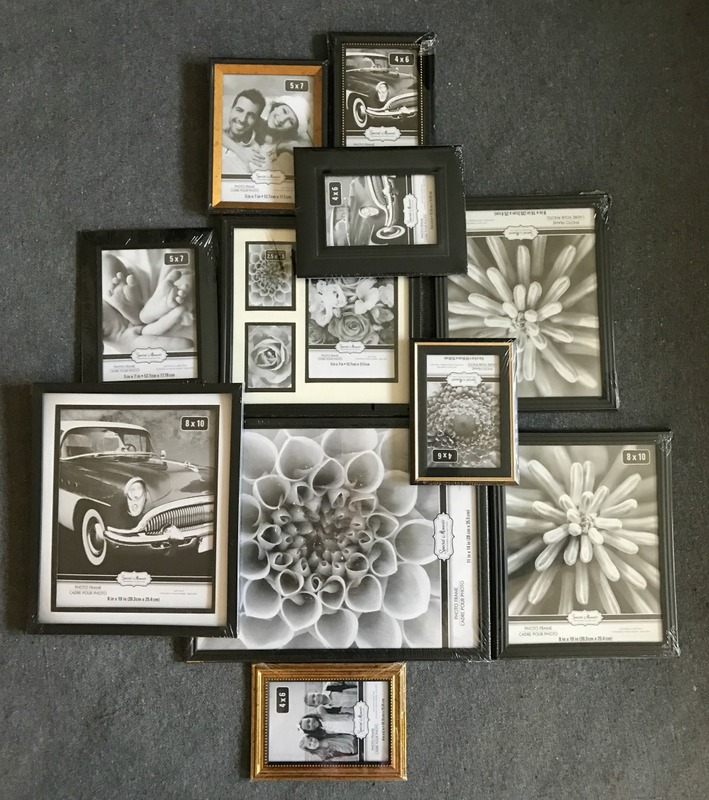 I went to the dollar store and bought different size frames, so this project cost me around $20 total. You could also check thrift stores or just round up some frames you already have. You won’t be able to reuse them, so make sure you don’t need them for anything else. 1. Layout the frames in a design that resembles a tree. 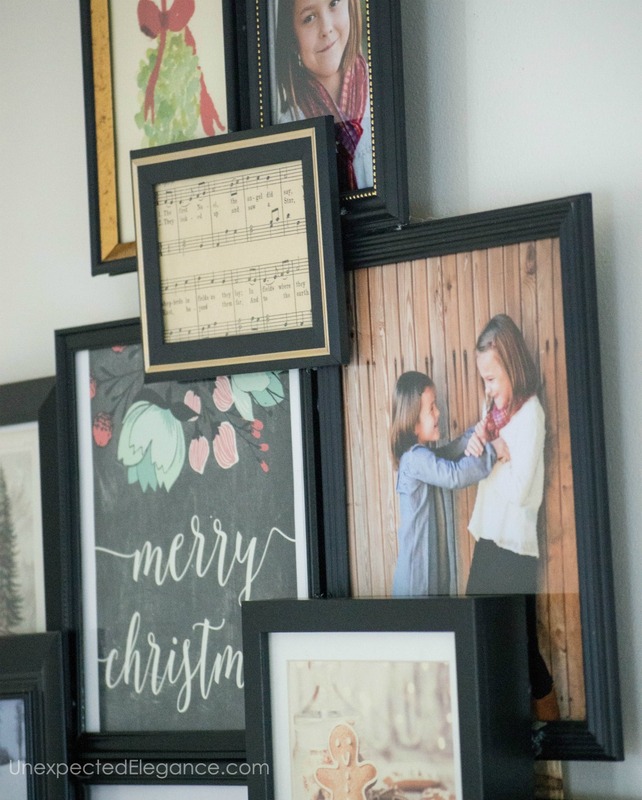 You want all the frames to touch and you can even layer a few for some dimension. (They won’t make a perfect tree, only resemble one, so it’s OK if it’s imperfect!) You also might want to take a picture of it on your phone to reference as you work. 2. Then decide which pictures you want in each frame. I decided to add in some prints I found online for free, but you could do all photos. 3. 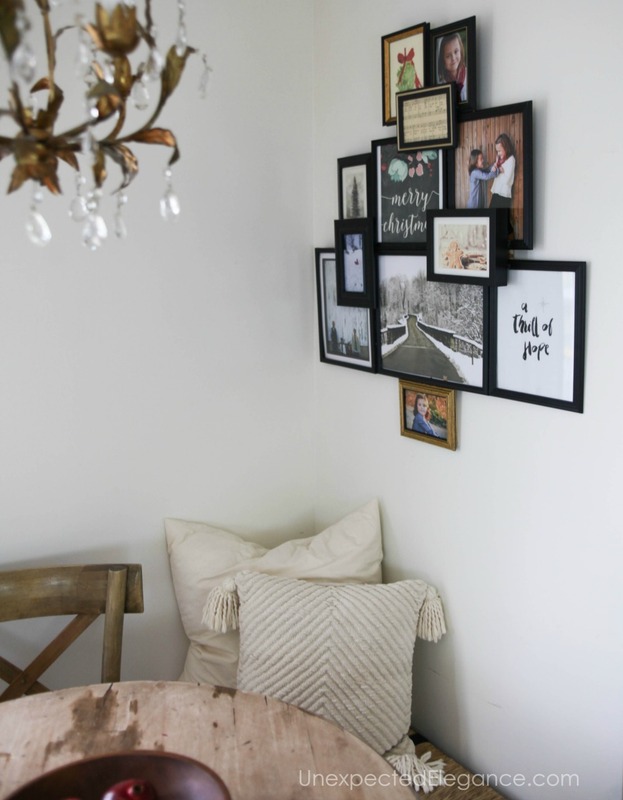 Once you have it all laid out like you want it, put all the pictures in the frames, then heat up your glue gun. 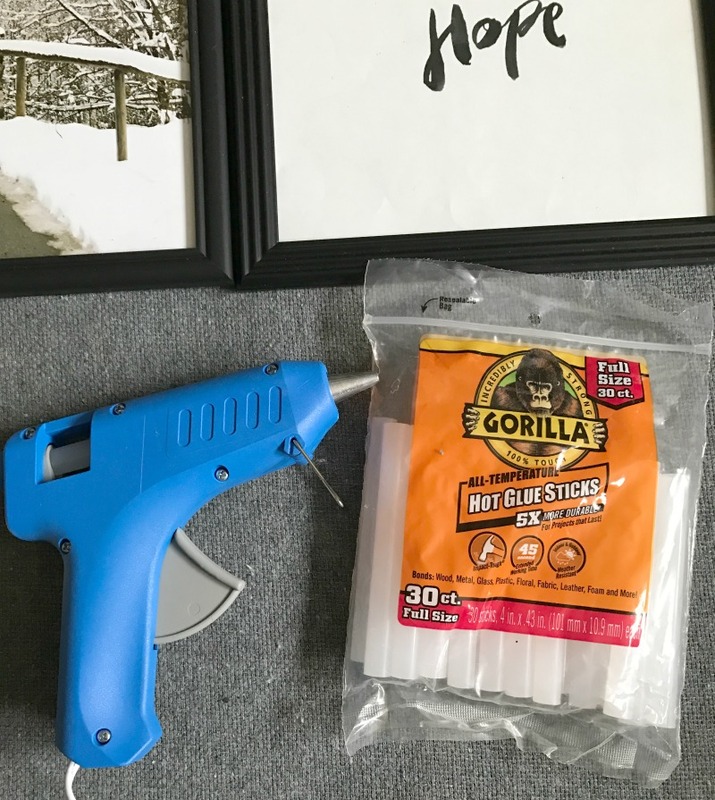 This project might not work unless you specifically use Gorilla Hot Glue Sticks. This hot glue is amazing!!! I used Gorilla Glue for the first time about 10 years ago and honestly, it was a game changer. Every time they come out with a new product I can’t wait to try it, and their hot glue just hit the market recently! 5X MORE DURABLE*- Which is REALLY important for this project! WEATHER RESISTANT – You can even use it on your outdoor projects…think of the possibilities! ALL TEMPERATURE- It’s safe for both high and low-temperature glue guns, so no more buying special glue. HIGH TEMPERATURE FOR STRONG BONDING- Great for wood, plastic, metal, and glass. LOW TEMPERATURE- Works well for even delicate materials like floral, fabric, foam, jewelry and MORE! 45 SECOND EXTENDED WORKING TIME- Can I get a high-five?!? YES, it really does give you time to play around, and still give you an awesome bond. VERSATILE – Works on hard to bond surfaces like metal and glass. 4. 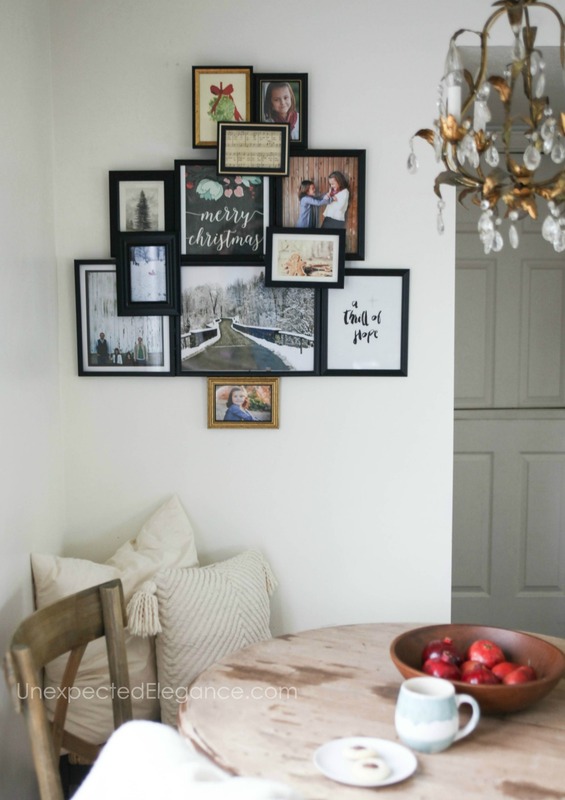 So now that you have your glue gun ready…Start gluing all the frames together in the pattern you laid out. Wait to add any frames over top. I just worked in sections and glued the side of frames together. I used a piece of cardboard under them, in case the glue dripped as it cooled. 5. After all the sides are glued together, flip it over and add some thin scrap pieces of wood for stability. My $1 frames are pretty flimsy so the wood helps keep them from wobbling when it’s moved. 6. 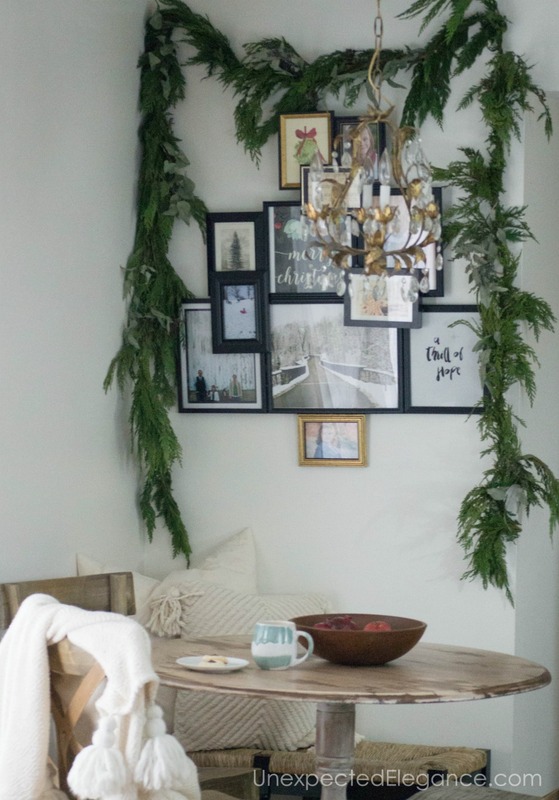 Add some picture hooks to the wood so you can hang it easily. 7. 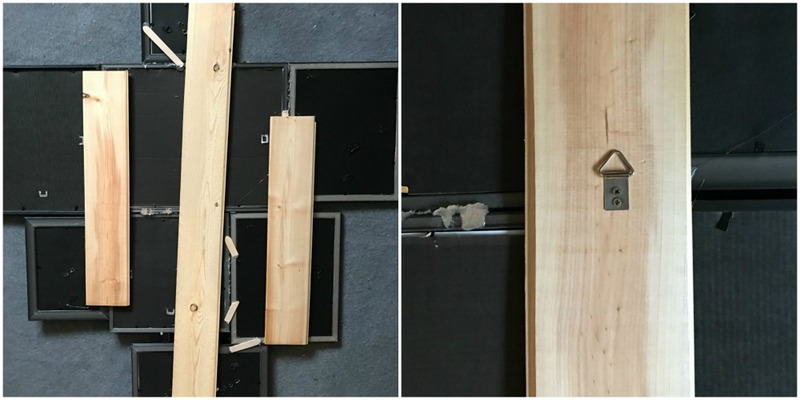 Finally, flip it back over and glue down any frames you want to layer. When the holidays are over you might want to hang it in a closet or at the back of the garage until next year. I added some garland to make it a little more festive! This is beautiful! And as I said on your other post – this does NOT have to be seasonal at all! Love love love! Happy holidays! Love the pictures Xmas tree.